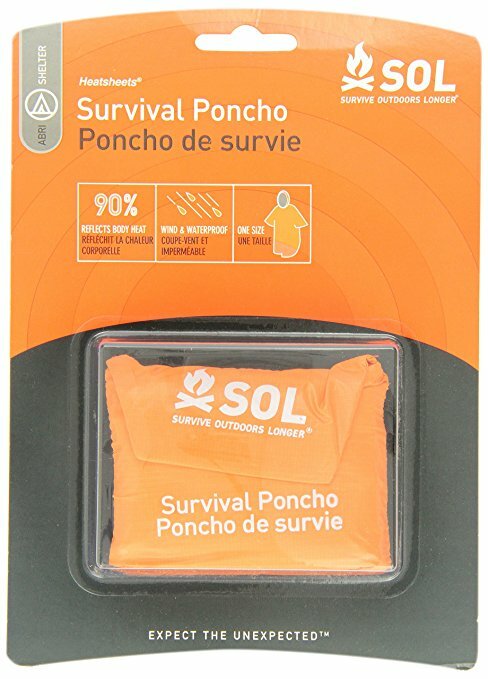 Prepare for unexpected rain or snow with this wearable ultra-lightweight shelter that is sealed on the sides. Made with Heatsheets fabric, this waterproof and windproof poncho reflects 90% of radiated body heat to keep you warm and dry. High-visibility orange exterior makes you easier to be seen in the outdoors. Keep moving toward safety without having to stop for harsh weather conditions. 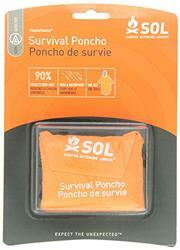 Poncho conveniently folds up to fit into included pouch maximizing room in your pack.